The hotel has a host of premium outlets that takes you on a culinary journey while the recreational facilities and culture of hospitality helps you unwind and enjoy a relaxed holiday. Bon voyage on a silk route to hospitality. 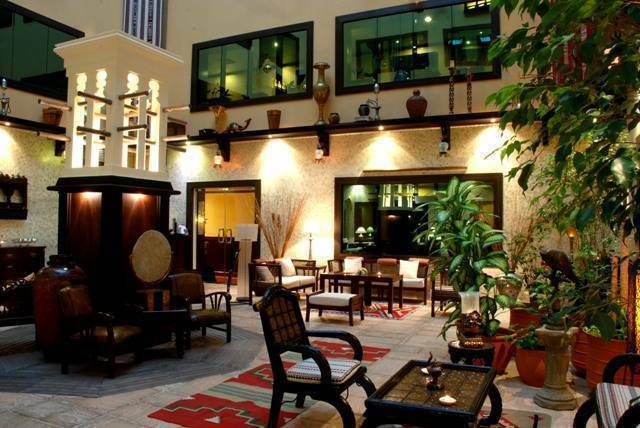 Contemporary Arabic themed Atrium Jumana lounge powered with wireless internet and also work station with high speed internet connection. Local and international newspapers and periodicals along with service of snacks and beverages would be your ideal place to unwind or double up as your meeting / entertainment space and all this in a totally smoke free environment. Large outdoor temperature controlled swimming pool and a fully equipped gymnasium to suit healthier life styles. Multilingual Guest Relations staff take care of individual business services and special requirements. The travel desk facilitates car hire, sightseeing, shopping excursions and adventure tours. Other services include money exchange, doctor on call, laundry facilities and valet service. 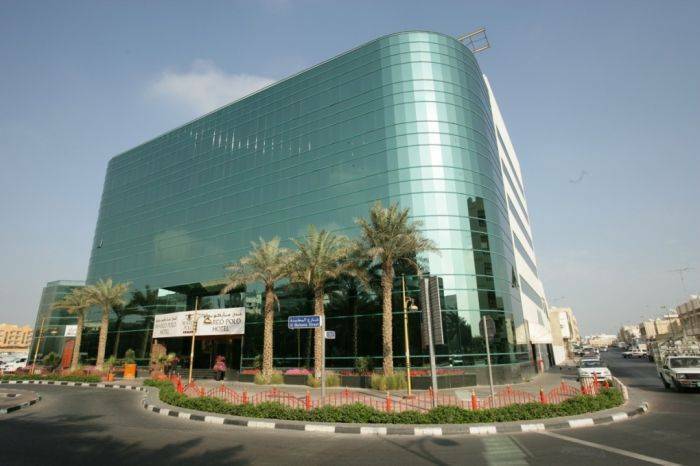 Security and privacy are the assets of this hotel that will make your stay in Dubai pleasant and memorable. Free broadband connectivity. Services available are baby sitting, same day laundry service, in room dining and luggage assistance. 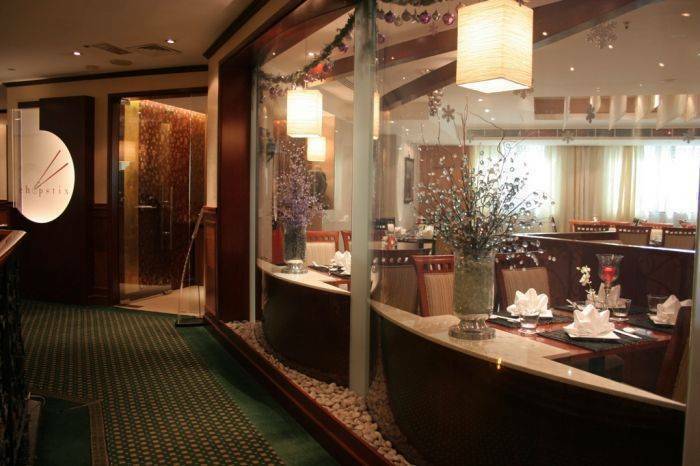 Chopstix Chinese fine dining offers modern ambience which brilliantly fuses Asian and European interiors to make your dining experience very unique. Chopstix is also a Guinness World Record holder for the world’s largest chopsticks. Brings the heart of Texas – Mexican Border town to your table and also adds a groove to your dining experience with its diverse entertainment. Be prepared for something hot and sizzling as Chikka Grill opens its doors for a party hungry crowd, chill out with our resident band and Dj right through the week. With its Pub Grub is authentically English from floor to ceiling, this Pub has style and substance. All reservations require credit card guarantee due at time of booking. Reservations must be cancelled 24 hours prior to arrival to avoid a penalty of one night’s charges including Municipality Fees and Service Charges. 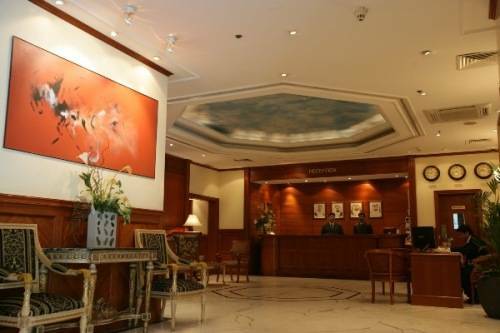 Marco Polo Hotel is just 15 minutes away from Dubai International Airport and 10 minutes from major shopping centres. Complimentary beach transfers are available daily. 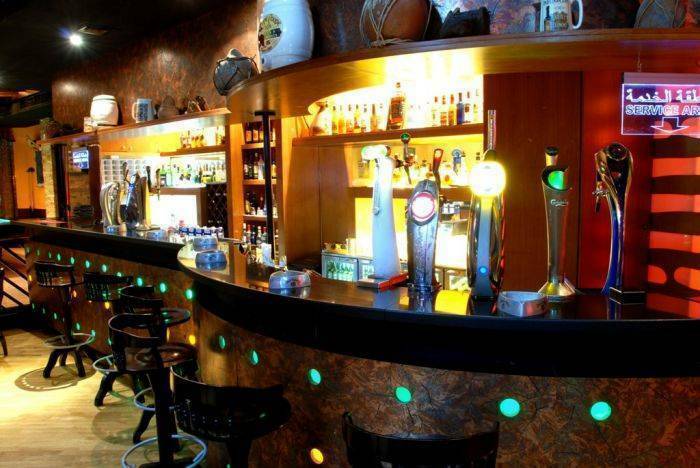 The hotel is walking distance from Union Square junction which unite the red and green metro lines and is also home to the inter-emirates bus system. Government run buses leave for all the seven emirates on a well programmed schedule with prices ranging from Dhs 5 to 25. Whether you fancy scrambling in Fujairah wadis or spending a peaceful weekend in Ras Al Khaimah this is where the exploring begins. 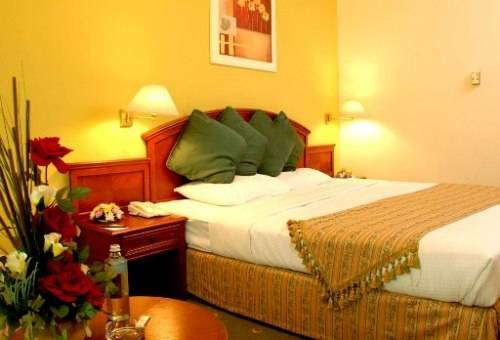 The hotel is walking distance from Union Square junction which unite the red and green metro lines and is also home to the inter-emirates bus system.